Ok guys, my first, long-awaited demo is finally here. I'm very proud of it's result, even though it is a tad short. And remember: this is about having fun! oh yeah! spank that monkey! yeah talsit! 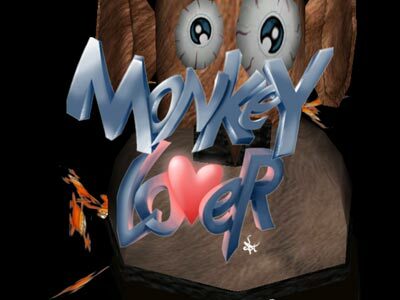 !, i love monkey, but it could have been "the cangoo lover" ;). Personally, i love this style and design. Pretty funny. A little short though. But better short and intense than long and boring. hehehe, you have to go out of spain to do demos ;) you found the solution! ;) hahaha! good work! cool prod! i wanna more prods!! A bit short (which doesn't matter at all), but pretty good finished. I admit that I didn't expect as much as this demo finally showed. Mainly because first productions are very hard to finish, and this one has even style and some cool synching. this prod has design , message, and fresh ideas, like te color composition and those little effects that make the diference. NO 3D Player, just composition sincronized, like a real god demo! like it, not too short LO breve si bueno dos veces bueno! a tope! I'll go for another dosis, i've liked it! really this prod should encourage some spanish groups to do it better, like Hansa for example! pike pike prods prods SPA-SCENE is VIVA! hmmmm.. It crashes right after the greets on my comp (it isn't THAT short, is it?). The stuff that I did see though, was great. Soundtrack ruled. Splendid stuff!! I liked it ;-) nice design, and nice code [at least the one I've seen]. Keep coming demos like this :-P.
It's a nice demo. I don't think it's your first prod, because gfx/design... And if this is, you rocks !! But I think you should work without 3d acceleration, for this type of demo. I wait another stuff ! nice for a first prod!!! The music and some effects was cool!! What can I say? Short but great! Luuuuuved it! (And still luuuuving it). this is good. Not a rulez tho. Nice mx, nice graphics, nice overall design. really a shame it ends right away. very shot, but good! nice design/composition, but try to make your next one a little longer. i wanna show you my munky! great track also....love the beat ! Dale duro TalSiT!! You Roulaise! Slick looking code, some nice routines and some very nice gfx too. However, I thought it was let down by the tacky attempt at humour. Still, there's a lot of potential here, that's for certain. Short but pretty cool. The middle bit is a bit ho-hum, but me likes da rest! very god for a first demo. aish, quedó chula ^^. ruuulez! Well this Monkey cost his bag of banana ! an xml parser engine for demos .... You rule ! 2) the ratio content/size isn't very different to other productions. Nice prod :) It's always nice seeing that spanish sceners keep releasing prods just for fun (and not for competing in a party). Thumbs up! The music was partly ok but mostly monotonous, the "humor" wasn't amusing and I didn't like the visuals. did very little for me or my monitor, rather boring all round. kinda liked it, too short though. I'm a monkey lover too ! rulez added on the 2004-06-18 15:10:55 by AbcuG!